BRIGHTON — It was a long night July 1 in Brighton as cowboys and cowgirls rode a doubleheader at the Fred Smith Rodeo Arena. 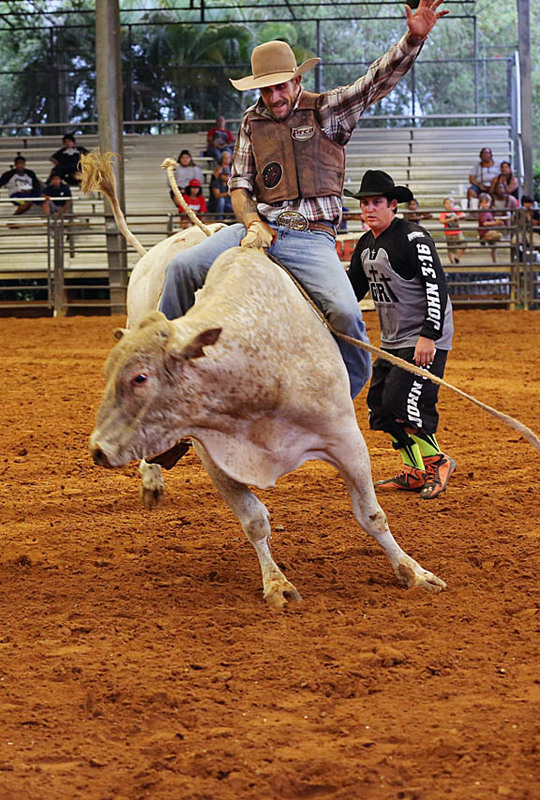 The previously postponed Cinco de Mayo Rodeo kicked things off and the Josiah Johns Memorial Rodeo followed. Between the two Eastern Indian Rodeo Association (EIRA) events, Moses Jumper Jr. and Paul Bowers Sr. honored the late Josiah Johns with a poem and presented his children, Marty Johns and Lisa Osceola, with commemorative belt buckles. Josiah Johns was an all-around rodeo champion and a founder of the Southeastern Indian Rodeo Association, which later became the EIRA. He was the first Seminole to compete in the Indian National Finals Rodeo (INFR) and was inducted into its Hall of Fame in 2012. Outside the rodeo arena, Johns was instrumental in building the Brighton Seminole bingo hall, which grew into today’s casino. Jumper read a poem he wrote shortly after Johns passed away in 1983. 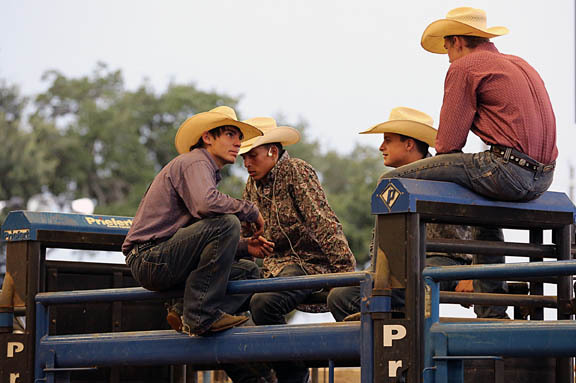 Titled “Say it ain’t so, Joe,” the poem laments the untimely loss of the rodeo champion. 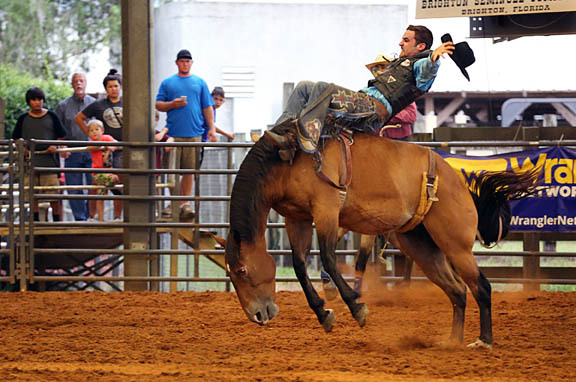 Before the second rodeo began, Justin Gopher and Josh Jumper spoke to the audience about the importance of preserving rodeo as part of the Seminole way of life. Both men grew up in the rodeo and still compete. 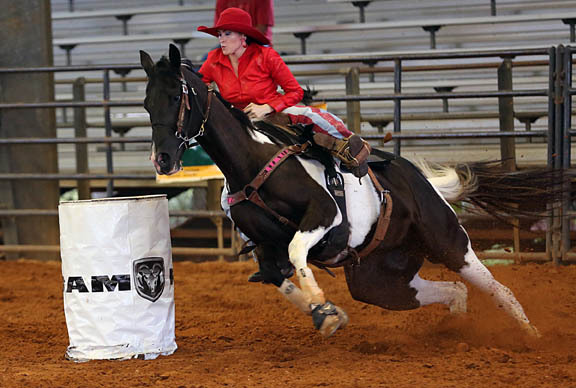 The competition was fierce as cowboys and cowgirls racked up points for their EIRA standings. Logan Hyatt and Jobe Johns battled in steer wrestling and calf roping. They claimed the top two spots at both rodeos. 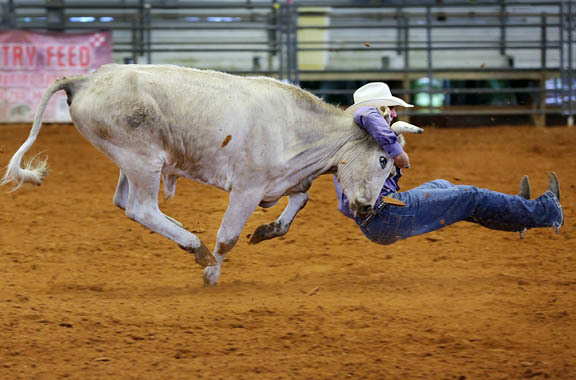 Hyatt won calf roping and Johns triumphed in steer wrestling at Cinco de Mayo. They flip-flopped at the Josiah Johns Memorial as Hyatt finished first in steer wrestling while Johns captured calf roping. Johns also lassoed two first-place wins as a team roping heeler, while Blevyns Jumper took first and second place as a header. Johns’ 153 points leads the men in all-around points going into the regional finals rodeo; Leanna Billie’s 46 points land her in the lead for the women. 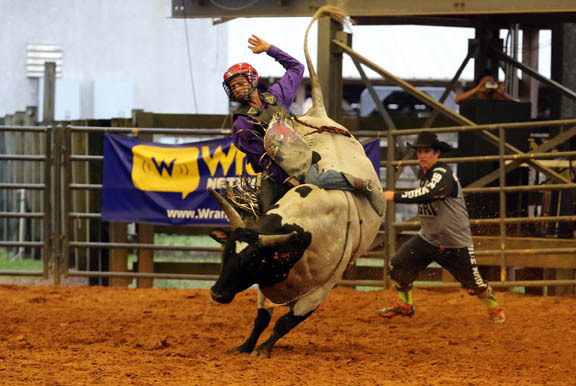 The July 1 events capped the six-rodeo EIRA season. Regional finals will be held Sept. 26 to determine who advances to the Indian National Finals Rodeo (INFR) Nov. 3-7 in Las Vegas.